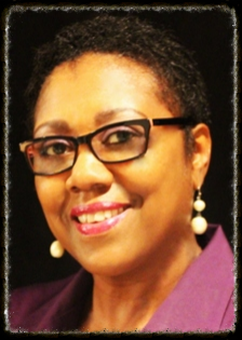 Yolanda Williams is a Project Manager with experience in the IT industry since 1997. She has strong expertise in using discipline methodologies to manage data warehouse implementation, data mart consolidation, integration management, business intelligence, customer relationship management, and brand management and customer loyalty projects. Yolanda’s strengths include the use of Project Management Institute (PMI) and Six Sigma processes to lead multi-tiered $20m+ projects to develop IT business solutions. She is certified as a Six Sigma Green Belt and has extensive training as a Project Management Professional. Yolanda has worked with Fortune 100 companies and done consulting work for General Electric, Abbott Laboratories, Ford Motor Company, Home Depot, SunTrust, Wendy’s/Arby’s Group, Teradata, United Rentals, the Gap, Sears Holding Company, and E*Trade Financial. Entrepreneurial ventures include founder and/or owner of the GRACE Institute for Learning, Zensational Services Day Spa, Williams-Locke National Family Association, Young L.O.V.E. youth enrichment, SLC Cleaning, and Yolanda Williams Consulting, LLC. Yolanda has defined her life by three pillar values; a commitment to life-long education, being true to our rich heritage, and creating financial independence. As such Yolanda has embarked in various philanthropic ventures to serve the community. This venture aligns with the belief that all are gifted with the skills and innate abilities to sustain themselves and to prosper. Her passion for participating in the success of others drives this vision.